red specials day - Mrs. Weltzin's homeroom, remember your library books! Reading passage: "Animals in Native American Art"
All homework is weekly homework (not daily). SHHHH.... Survivor Island: DONATIONS NEEDED! We are gearing up for our favorite week of the year and are very excited about it! We mentioned in an earlier email that we would be having our annual Camp Write Along week the week after Spring Break (March 23 - 27). We've decided that it was time to shake things up, and have evolved our previous camp theme into "Survivor Island: Do You Have the WRITE Stuff?". We're so excited to surprise and challenge our students as we journey with them through the elements of the writing process that week and celebrate how far they've come as writers. This week is, by far, the one the students remember the most fondly when they look back on their fourth grade experience, and we can't wait to share it with them! We would appreciate some donations from you if you're able to help make this a memorable week. Every year with our parents' help, we provide a trail mix snack to the students. The ingredients of the snack mix tie directly into the elements of the writing process, and we use it both as a teaching tool and mid-morning nourishment. Please see the link below to donate an item or two. We are aware the list looks extensive, but we are soliciting ingredients for both homerooms for the entire week. Donations may be sent in at any time starting immediately. We would prefer to have items brought in before spring break (no later than Friday, March 13th). 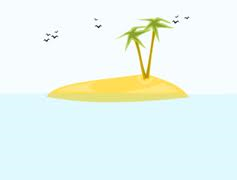 That way we can ensure we have the necessary items ready to go when we come back from break to find our neighborhood and classrooms transformed into a shipwrecked island. Please remember that this is a surprise for our students! If your child questions why they're being asked to bring in an item, just tell them that those teachers are crazy and who knows what they're up to now :). Be sure to stop by the Lost and Found to look for your lost items. Last day to get your stuff is Friday, March 13th. Leftover clothing will be donated to the LISD Clothes Closet. 'Tis the season for indoor recess! 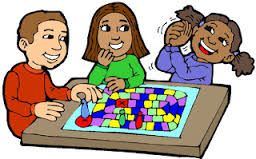 We would appreciate any donations you can send in of gently used games that we can keep in our classroom to use during indoor recess. If you can find any games that your kids haven't played with in a while, please consider sending them in! Thank you for helping our students enjoy their indoor recess time. The following dates, to the best of our knowledge at this time, are the dates for the 3rd and 4th 9 weeks that will affect your 4th grader. Please make note of them on your personal calendars. We'd appreciate it if you could limit appointments and absences as much as possible on our state testing days (Writing - 3/30, 3/31, Math - 4/21 and Reading - 4/22)...thanks! Please update your calendars accordingly. Dates are subject to change; we will do our best to keep this current. If there are any additions from the previous week's newsletter, they will be in italics below. 5th Grade Business Fair - during specials; tickets available that week for students that wish to purchase items. More information to come. last day of school; end of 4th 9 Weeks - HAVE A GREAT SUMMER!!! The 2014-15 yearbook is available for preorder online now! Click the link below for more information.